Have you ever been stuck in some way that you feel you can’t escape from, whether it’s a situation, a relationship, a job, or just circumstances? 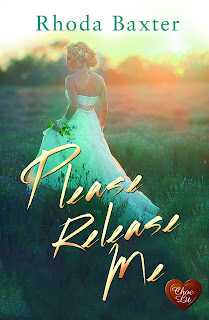 In Rhoda Baxter’s new novel ‘Please Release Me’ myBook.to/PleaseReleaseMe, the three leading characters are all stuck in a difficult situation from which there seems to escape. She’s asked me to blog my own experiences of being stuck and I’m happy to do that since it fits in with my memoir-themed blog. The best example I can think of is when I was stranded in New York City in the early 1960s. At that time, I was working as a mother’s helper in Princeton, New Jersey in the United States and, on one of my days off, went to New York to meet a friend. At the last moment, another English girl working in Princeton, decided to come with me to meet a friend of her own. I didn’t mind as Linda and I were good friends anyway. ‘Why don’t we try the waiting room? Perhaps we can kip down there,’ she suggested. As we walked towards the waiting room, we noticed that with the last of the buses, the character of the bus station had changed. Gone was the bustling urgency of people with a destination, instead there was the apathy of people with nowhere to go, ambling individuals, obviously trying to weigh up what two attractive young women were doing on their own in a bus station that had all but closed for the night. ‘How much money do you have?’ I asked. ‘And I only have a few dollars. Why don’t we try the YWCA?’ I’d stayed at the YWCA hostel several times before. I phoned the night clerk at the YWCA hostel, explaining that we were two British girls stranded in New York who needed somewhere to stay. ‘Sure, no problem,’ he said. ‘Come on over, you can have a room.’ The amount he quoted was in excess of the cash we had, plus we’d need money for the cab fare to the hostel. I explained that we didn’t have that much cash but that Linda did have her pay cheque. ‘Is it on a New York bank?’ he asked. ‘Then I can’t help you,’ he said. Then I remembered that my employer’s cousin lived in New York, he might be listed in the phone book, perhaps he could help. He was and he could, though he wasn’t pleased to be woken at that time of night by someone he scarcely knew. Finally, he came up with the answer. We were to take a cab to his club, ask for Joe (it really was Joe! ), the night clerk at the club, who would give us enough money to get us a room at the YWCA for what remained of the night. While we caught a cab to the club, he would phone Joe and arrange for the money to be available. We got a cab, the money and a twin-bedded room at the YWCA and one might think our immediate problems were over. Not so. Linda, who’d had a heavy cold, coughed all night so that neither of us got much sleep. The night seemed endless and I was glad when it was time to get up. There was no time even for a coffee, we’d missed the early bus because we’d both dozed off just before dawn. The bus station had an early morning bustle that was in stark contrast to the night before and there was a queue for the bus even before it arrived. Linda wasn’t coughing now but clung to me for support. Of a sudden she turned to me and in a low voice, said, ‘Anne, I do feel ill,’ and collapsed at my feet. We’d heard stories about the callousness of New Yorkers but in our case it was different. A young soldier picked the unconscious Linda up and laid her on a bench while other people clustered round, offering suggestions. A cop, drawn to the commotion, came and took charge of the situation, suggesting that I take a cab and get her to hospital. Embarrassed, I explained that we had no money to pay for medical treatment and he told me that there was a charity hospital not far away. He got the cab and the soldier lifted her inside, by which time she had come round, while the cop gave the cabbie instructions. I don’t know which hospital we went to, although I remember that it was dim, quiet, drab and there were a lot of nuns around. We’d to wait a long time and the doctor, when he came, was tired and rumpled. Tests and x-rays followed before we were told that Linda had pneumonia. He explained that they had no admission facilities for out of town patients and that I should get her back to Princeton as quickly as possible. Both exhausted from lack of sleep and the emotion-packed events, the journey home was a nightmare. We had to take yet another cab to Port Authority, then wait for the next bus, while all the time Linda was on the point of slipping back into unconsciousness. On the bus, the passengers were kindness itself and the bus driver uncomplaining when he had to pull over a couple of times to enable Linda to clamber out into the fresh air which revived her enough to continue the journey. 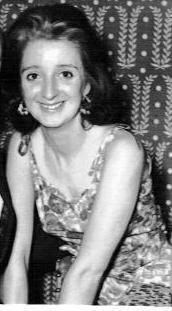 Linda’s employer whisked her to the hospital, then to some friends to recuperate, and from thence shipped her back to the UK while I ended up repaying all the money we’d had to borrow. ‘Please Release Me’ sounds a fascinating book and I’m looking forward to reading it. Here’s a taster of what it’s about. But Sally was never going to let a little thing like a coma get in the way of her happily ever after …..